Anyone who has ever suggested that clowning around doesn’t pay off has never met Paul Hallinan Miller. Ever the visionary, Miller has a nose – albeit a round red one – for innovation and opportunity, and, fortunately for the community, he sets them in motion in Ludlow. Paul Hallinan Miller’s Bircus Brewing Company is the first brewing company in the U.S. to qualify its offering under Tier 1 of Regulation A+ with the Securities and Exchange Commission (SEC). Seven years ago this November, in the wake of the 2008 financial crisis, Miller, the mastermind and ringmaster of Ludlow’s Circus Mojo, purchased the 68-year-old Ludlow Theatre building at 322 Elm Street in Ludlow and the former Ludlow liquor distribution center next door. He morphed it into Circus Mojo, his training ground for circus arts and shows that feature talent from around the globe. “We bought those buildings at a good price point. We wanted a place where we could own the buildings and do great work. Ludlow has been a great place to make that happen,” says Miller. For four years, Miller sold beer from the Ludlow Theatre, but when he made the acquaintance of an equally innovative gentleman from Belgium, a whole new idea began brewing. It was at the 2010 Network of International Circus Educators Conference in Berlin where Miller met a like-minded artist named Matthew Vermael, coordinator of Circusplaneet, a youth circus in Ghent, Belgium. Circusplaneet was founded on the idea of creating a place where children and adults could come and celebrate their creative zest for life in a supportive atmosphere with a unique funding concept — circus performers at this venue would earn operation money by selling beer, hence Bircus. Vermeil and Miller bonded over some Bircus brews and Miller wound up getting permission to license the concept and bring it back to the states — specifically Ludlow, where he moved forward to expand the Ludlow Theatre into a brewery that would embrace local history, community outreach, entertainment, and beer. “The theatre is a great venue, but you don’t make enough money selling other people’s beer,” says Miller. 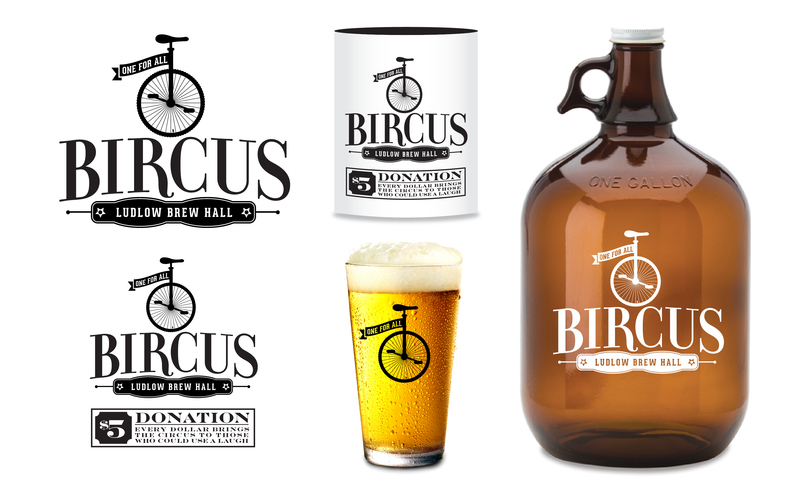 Drawing upon Belgian-inspired recipes, profits from the sale of the locally brewed beer at Bircus Brewing Company will support Circus Mojo’s Social Circus Fund, which assists in the underwriting of programs for Ludlow children, as well as nursing homes and hospitals. In addition, the funds will help bring more circus performers to the region. Homebrewed beer sales could boost revenue that will be used to continue attracting and supporting the eclectic range of artists and musicians that Miller, a former Ringling Brothers clown and actor, is committed to presenting to the community. Circus Mojo has featured artists from 36 countries, pinpointing Ludlow as a destination from around the globe. A brewery share for the dad who has everything? Miller says he worked about five months to raise the necessary $150,000, which he put in escrow to get the Bircus Brewing Company off the ground. Bircus Brewing Company will be the first brewery in the U.S. to be approved for the Tier 1 of Regulation A+ funding strategy with the Securities and Exchange Commission (SEC). Essentially, says, Miller, one need not be a millionaire to invest in Bircus Brewery Company, and can invest for as little as $1,000. Miller says investors won’t get their name on a wall but for $1000 they are an owner in the Bircus brewery. You don’t have to be a millionaire to invest in Ludlow’s Bircus Brewing Company. Individuals can invest as little as $1,000. “You’ll receive a dividend, or you can reinvest. It’s not a donation, it’s not a giant return,” says Miller. “We want to make an incredible product and do great work in the community, but also have investors see a return. He’s also confident that Bircus will encourage more entertainment at the theatre. “I think we’ll have more parties in the building,” he says. For years, Miller says, few people came to Ludlow. Since Nov. 2009 more than 50,000 people have attended events at the former movie theatre, and the brewery, Miller hopes, will be a key destination as well. “It’s a lot harder to get people to invest in a circus, and that’s why I diversified into beer. If I’ve sold circus for seven years in Ludlow, beer should be easy,” says Miller. 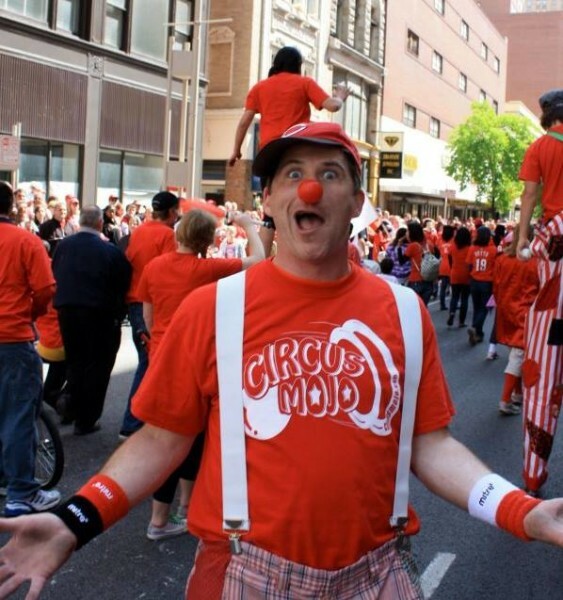 You might also be interested in this NKyTribune story about Circus Mojo. Use the “search” option on the Homepage to find more.